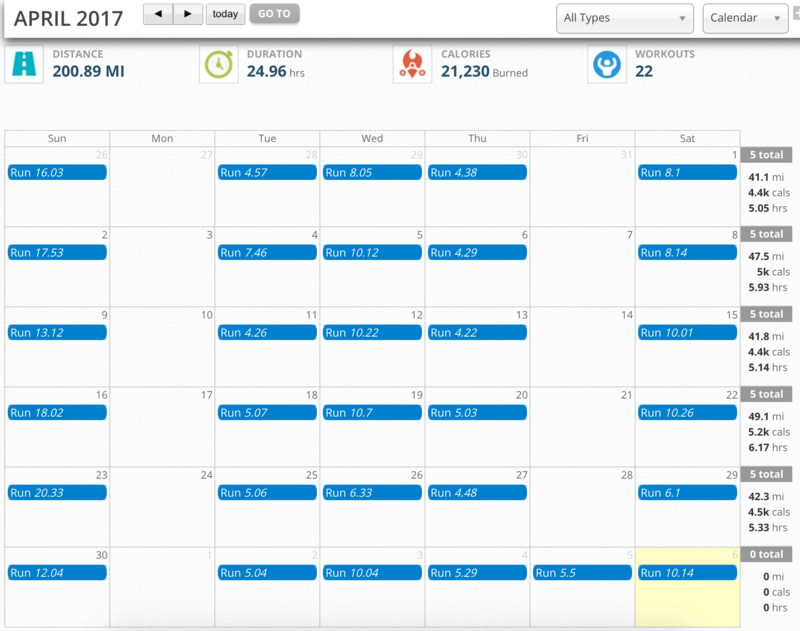 I ran 200 miles in April. I don’t think I’ve ever run 200 miles in a month. Maybe I have, but I noticed I ran 200 miles in April. I organized my first race/group run yesterday. I’ve always wanted to organize a race. Last summer I decided that the 5.5 mile end-to-end span of Escarpment Blvd. would be a good & scenic course. 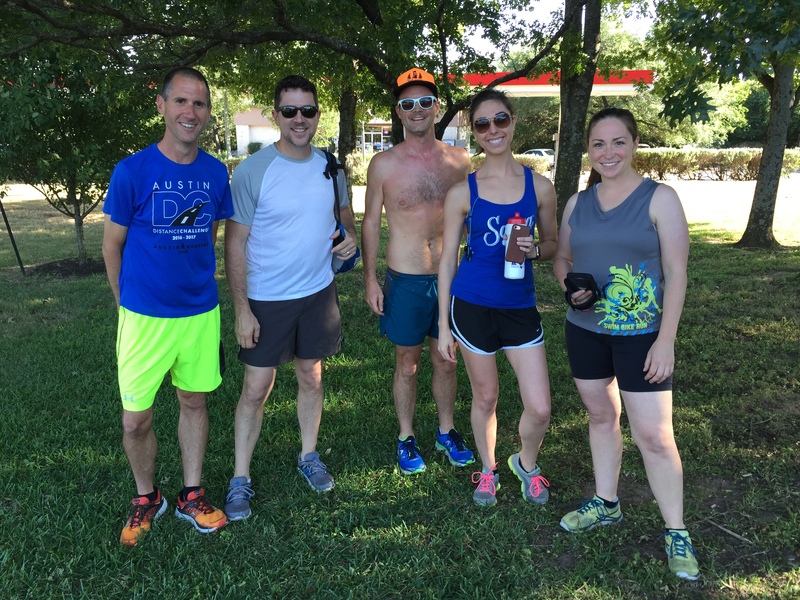 So I created the Escarpment 5.5 and invited the Circle C Run Club to participate. I decided that the 5.5 mile race would happen at 5:55 p.m. on 5/5. Thirty people registered, however, only 5 ran. That’s fine. 5 is a good number. We had a great time, I made some new friends, and I have a [possible] new recruit for the 2017 Capital to Coast Relay. 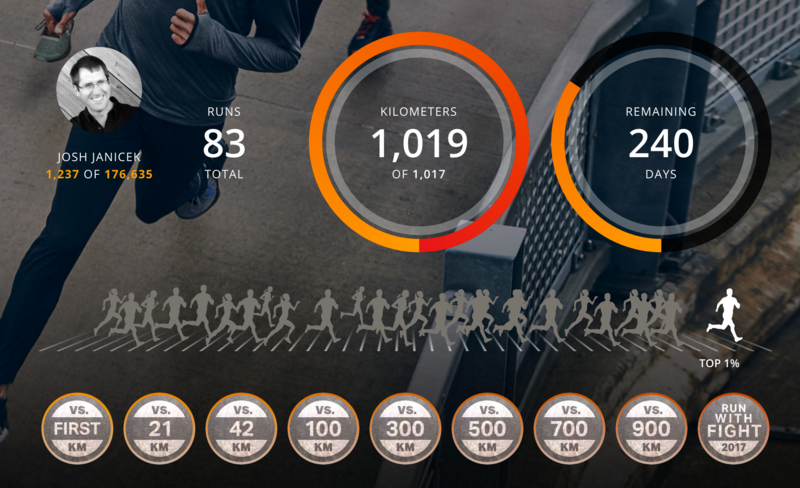 And this morning I hit 1,017 kilometers for the year. I completed the Under Armour You VS the Year Challenge in a little over 5 months. I beat last year by a month. For the past two years I’ve been the project manager for the You VS the Year challenge, which has proved to be very successful. Last year we had over a million people across the globe participate. We’re on track to do about the same this year.